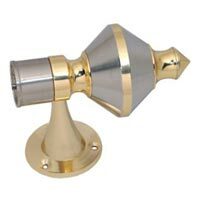 We deal in a vast range of Brass Curtain Bracket which is high in demand because of its aesthetic looks. Our Brass Curtain Brackets are constructed from solid brass, which provides longevity to them. Our Brass Curtain Brackets are heavy in weight so these are less prone to damage. 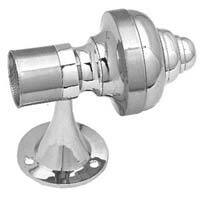 These Curtain brackets are used for fixing the poles and curtain rods firmly to the wall. Designed with immaculate patterns, this Brass Curtain Bracket ( Umbrella) is a true example of excellent craftsmanship. 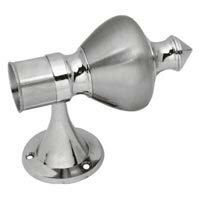 Made up of high grade brass this Curtain Bracket is carved to match well with the style of any décor. Designed with immaculate patterns, this Brass Curtain Bracket (Balloon) is a true example of excellent craftsmanship. 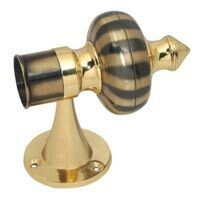 Made up of high grade brass this Curtain Bracket is carved to match well with the style of any décor. Designed with immaculate patterns, this Brass Curtain Bracket (Dhollak) is a true example of excellent craftsmanship. Made up of high grade brass this Curtain Bracket is carved to match well with the style of any décor. Designed with immaculate patterns, this Brass Curtain Bracket (Temple) is a true example of excellent craftsmanship. 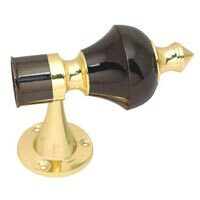 Made up of high grade brass this Curtain Bracket is carved to match well with the style of any décor.